Gobble gobble gobble Thanksgiving t-shirt! Wear this to your family turkey day party and gobble gobble your way through the turkey and pie! Gobble Gobble Shirt for Thanksgiving! Funny turkey Gobble t-shirt. 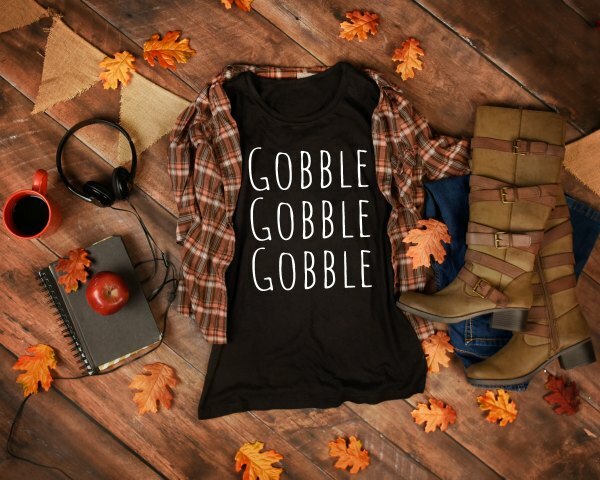 Ideal to wear at Thanksgiving dinner, this Gobble Gobble T Shirt will make it a gobbling good time!